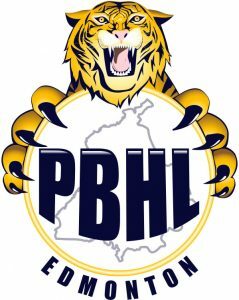 Round one of the PBHL playoffs is one game do or die. The later rounds are best of 3s. ACH couldn’t have had a better start to the season. I think they were 7-0 before losing their first game. Since then they have had issues with key players being unavailable and teams have, to an extent, figured out the way they like to play. ACH has all their horses today. Gallo’s journey to this point has been the opposite. They started the season poorly. Although they were in most games, they would collapse with 5 minutes left and lose both points. We never really got to witness their full team lineup but when they did ice everyone, they were surprisingly flat. Since then, they have been on a tear. The line of Sunny Khaira, Kal Sahota and Jas Sadhra scores each game. Deep Sangha and Jason Heer are carrying the second line which is a threat to score each shift. Jason Deol and Prabh Thind will need to be on separate lines to deal with this two line threat. ACH will need Sunny Matharu to quarterback their offence. Their captain Sukhman Thind is back and this will be a boost in the locker room and on the score sheet. However, the smaller skilled ACH forwards match up unfavourably against a strong, athletic and aggressive Gallo defensive core. We anticipate a tight low scoring game as Mike and Shiv are in net. Gallo win. ACH weathered an early flurry of chances from Gallo. They took the lead after Sukhman Thind ran down the left wing and found Harminder Atwal a few feet between the slot and the blue line. Harminder shot and it missed the net. The boards were live and the ball popped out infront to Jasjeet Jandu who made no mistake into the open net. ACH up 1-0. The teams traded chances and shots. Both teams took more than 30 shots giving Gallo a slight edge in that category. Gallo also had the edge in possession and quality chances but, ACH bent but didn’t break. Shiv Puri’s rebound control was exceptional today. ACH looked a good bet to win. But, with 5 minutes left Kal Sahota led a rush and got a shot off which handcuffed Shiv. The ball sat infront of Shiv for a second and he dove to smother it for a whistle. Unfortunately for him, Sunny Khaira got there a split second first and tapped it back close to right circle. Jas Sadhra sprinted for it and slapped it in for the game tying goal. ACH deflated after this goal and were barely surviving until Kal Sahota took a tripping penalty. The ACH powerplay had some glorious chances with one in particular hitting the post. Gallo survived the man advantage and this game went to OT. After a thrilling half of OT both teams remained tied. In the old rules, this game would be sorted by a shootout. However this year we moved to a continuous OT system and we are glad we did. Second half of OT was even more exciting. Both teams were tired and mistakes were being made. Kal Sahota pounced on a defensive miscue at half. Walked in and from just inside the blue line, he put a wrist shot top cheese to win it! What a shot. Gallo advance. We had predicted that All India would be a top team this season. We were wrong. They squeaked into the playoffs. Nonetheless, they have several quality players and many teams wanted to avoid facing All India in this round. Vacuums was expected to make the playoffs but few expected them to breeze into the playoffs as they did. Arjun Dhaliwal is the heart of this Vacuums team offensively. If something is brewing in the offensive end, he is in the mix. Teams are wary of him at all times and sometimes that is not enough to stop him from getting his. He’ll be in tough against All India because they have two solid defensive pivots in Jesse Virdee and Rob Gakhal. Both Virdee and Gakhal play the game right. Offensively and defensively. They’ll need to be in form today because Vacuums play a very aggressive forecheck and opposing defenceman don’t have much time on the ball. I expect a high scoring game with All India scoring the upset. You had one job. Cover Arjun. He found space, he and Manny Grewal played a nice give and go, Manny found Arjun in the slot and he buries, bar down. All India answers back. Gakhal wins a draw in the offensive zone back to Virdee. He one times it into the top shelf from the blue line. What a rocket. Balraj Lally converted on a rebound given up by Jaz Dhaliwal to make it 2-1 Vacuums. Sandeep Gill passed it to Shaneil Kumar for AI’s second goal. Shaneil went on the breakaway, tucked it in backhand five hole. Sandeep Gill scored the 3rd goal after Jaspal Dosanjh made a great back door pass to him before goal. Arjun Dhaliwal cut the lead to 3-2. He broke into the AI zone and fed Manny Grewal who banged it in. Manny Grewal scored again, this time on the powerplay after he cleaned up Bob Banga’s point shot which went wide. Arjun Dhaliwal scored the insurance goal by walking in and sniping it far side low. All India tried to get back. Kulshaan Kahlon found himself in front of some chaos in front of goal. Shot. Save. Rebound. Goal. But All India would not get any closer. Vacuums deservedly wins 5-4 having outshot AI 29-13.